Hi, I'm Dr. Cathy Frank. Welcome to my profile! 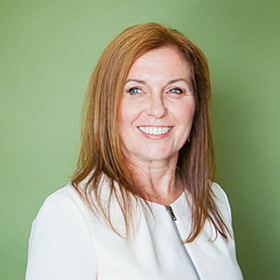 Dr. Cathy Frank, BA, MD, FRCS(c) is a consultant currently working at the SOFT (Southern Ontario Fertility Technologies) Clinic in London, Ontario. With over ten years of experience in the area of obstetrics and gynecology, Dr. Frank began her medical studies after graduating from university at the University of Western Ontario. In 1994, Dr. Frank began attending medical school at McMaster University, successfully graduating from the school in 1997. With a lifelong love of babies and children, Dr. Frank chose to concentrate her medical ambitions in the area of OB/GYN and fertility medicine, and completed five years of postgrad work at the University of Western Ontario’s OB/GYN residency program. Following the completion of her postgraduate work, in 2002 Dr. Frank was hired on as a consultant at St. Thomas Elgin General Hospital’s OB/GYN department. As a consultant, Dr. Frank had the opportunity to teach medical students, as well as residents and staff of the hospital. After two years of serving as a consultant in the department, Dr. Frank was promoted to Chief of the OB/GYN department. Her promotion made her responsible for overseeing all functions of the department, as well as performing gynecology and obstetric operations. After seven years at St. Thomas, in 2009 Dr. Frank transitioned to the SOFT Clinic, where she works to this day. Working beside the guiding hand of her husband, Dr. James Martin, who serves as director of the clinic, Dr. Frank has helped the clinic to expand and offer more infertility treatment options. Dr. Frank’s responsibilities at the clinic include assessing patients, making diagnoses, assessing patient infertility and advising on a treatment plan using the most effective infertility treatment techniques. Besides her medical experience, Dr. Frank is also an accomplished medical writer, having co-authored a number of educational information sheets, abstracts, as well as a paper on radiology.